Fructel, an electronics company based in Sweden have recently released a new bluetooth controller to the market for android devices. 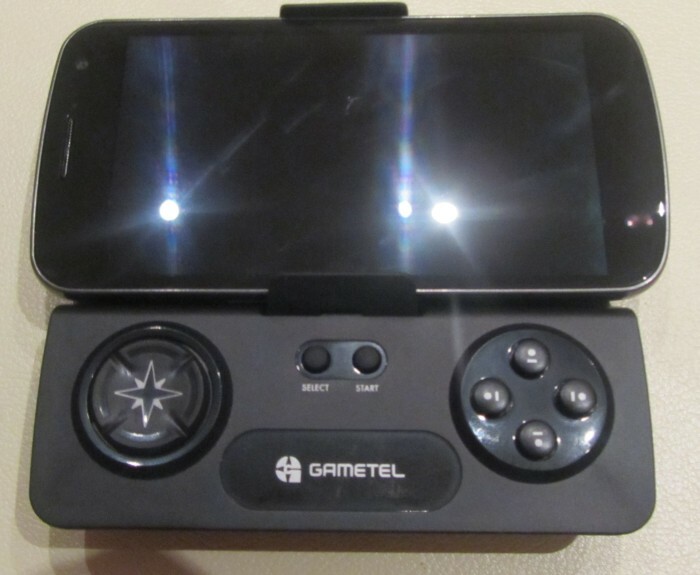 The new product goes by the name of Gametel and is a bluetooth gamepad specifically designed for android phones and tablets. We managed to get our hands on one early and have been putting it through its paces with a few cool android games. 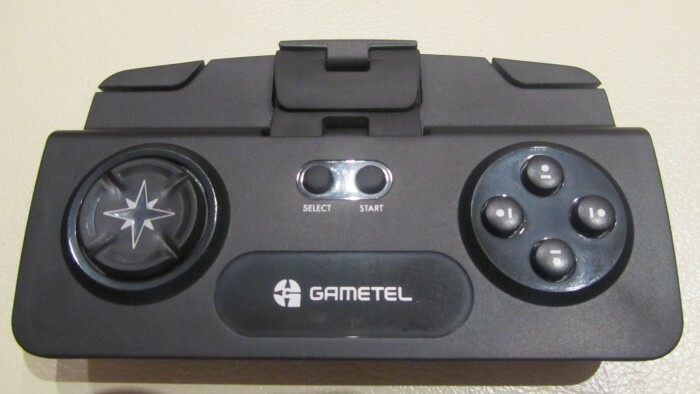 Take the jump for a full lowdown on the Gametel gamepad and our thoughts on how great it is! Click yes to the popup asking you to allow an app to turn on bluetooth. Press and hold the start button on the GameTel gamepadÂ for three seconds until the green LED begins to flash. Click the add device button in the GameTel app. 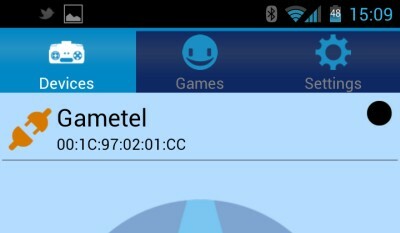 Click the GameTel device that appears in the popup within the app. Select Pair when the bluetooth pairing request window appears. Ensures that using the gamepadÂ will not allow the screen to turn off. 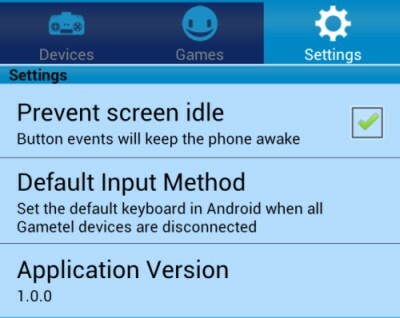 Set which input method the device will default to when the GameTel gamepadÂ is disconnected. Mapping of GameTel gamepadÂ keys to actions. When the gamepad is low on battery, the app will display a new notification on the device informing you. However, there is no way to tell just how much battery is currently left. It would have been nice if there was an option to show the current battery percentage rather than just notifying when it's low. I've actually fed this back to the GameTel guys and they say it's something they may look at adding in a future update. The app isÂ functionalÂ and does help to ensure that pairing gamepads to your device is as simple as possible, but I wish it looked a bit nicer to the eye. It doesn't really obey any android UI or functional rules. For example pressing the menu button does not open a menu. Pressing the back button wherever you are in the app closes the app, when it should take you back to the last screen. Thankfully, you probably won't be using the app after the initial pairing of your device so this isn't a huge issue. 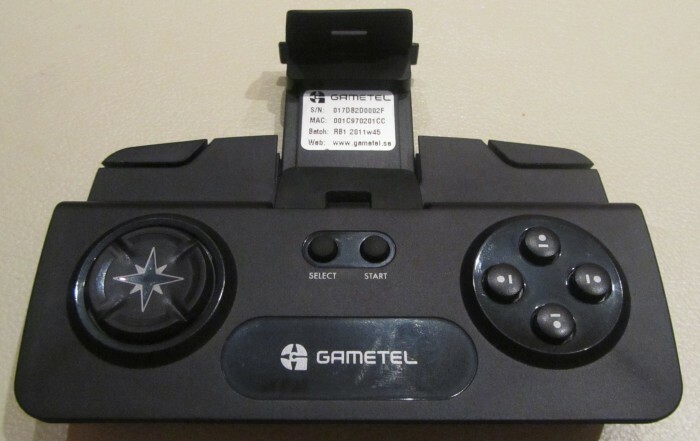 I was sent one of the first GameTel units off the production line, and as such the final packaging wasn't available so I can't comment on that. The contents of the packaging will include the gamepad itself as well as a user guide. The shoulder buttons feel really good, if you've ever used an Xperia Play, then you'll wish Sony Ericsson had implemented their shoulder buttons just like this. The action buttons are fine, if I had one complaint I'd probably wish they were slightly larger, but that's me pushing for something to say, they do work fine. The bottom end of the gamepad contains the MicroUSB port and two LEDs. To the left is the green LED that notifies you when the gamepad is ready to be paired while the red LED to the right lets you know that the gamepad is charging. The gamepad contains an adjustable clamp towards the top of the unit where you can clamp your phone in place. This clamp sits nicely away when not in use, and extends to a height of just under 7cm, not quite large enough for the Samsung Galaxy Note, but more than enough for the Samsung Galaxy Nexus, the second largest phone I can think of! The clamp has rubberised ends that wrap slightly over the phone ensuring it stays in place and doesn't slip. I did find an issue when I placed the Galaxy Nexus in the clamp. The clamp actually presses the volume down rocker on the side of the phone so that the volume always goes to mute. You can adjust the placement of the phone so that this doesn't happen, but it did annoy me slightly. Also, this onlyÂ occurredÂ with the Galaxy Nexus, I tried the Galaxy SII and the HTC Sensation and neither had this issue. As mentioned earlier in the review, Fructal says that the Gametel gamepad officially supports 50 games. However I've tried it with many games thatÂ aren'tÂ on theÂ officiallyÂ supported list and it works great. I find that using the gamepad that games are much more responsive that using on screen controls, and you get the added bonus of being able to see the whole screen as your fingers aren't in the way. I actually find that I'm much better at games when using the GameTel gamepad too. I've tested the device on phones as well as on the Samsung Galaxy Tab 10.1, and it works great on all screen sizes. I'm very happy with the Gametel gamepad. It really does add much more to gaming on android. I find that I enjoy games a lot more due to the more accurate control I have. The number of games supported is also quite large. It seems to work with most games that have an on-screen dpad/action buttons which are the games you'll be primarily playing. For the price I'd really expect aÂ MicroUSB cable to be supplied, nevertheless I would definitely recommend this accessory to any android owner that loves to play games on their mobile. You can pick up the Gametel gamepad yourself from Amazon for RRP Â£49.99.